Summer makes us think of beaches, barbecues and big fun in the sun. What we DON’T often think about is getting our wisdom teeth out! However, summer is an ideal time to have this procedure done. Here’s some helpful background on wisdom teeth extraction and why you may want to have it taken care of in the next few months. Wisdom teeth are the third set of molars, top and bottom, all the way in the back of your mouth. These teeth typically begin to emerge between the ages of 15 and 20. If your mouth is not large enough to fit the new teeth, then extractions may be necessary. Overcrowding of wisdom teeth can cause your other teeth to move out of proper alignment. Misalignment and overcrowding is not only painful, but also can lead to infection down the road. Even worse: wisdom teeth can become impacted if they do not fully emerge; leaving parts of the teeth inside your gums or jawbones. This can cause extreme pain and leave you open to infection and tooth decay down the road. 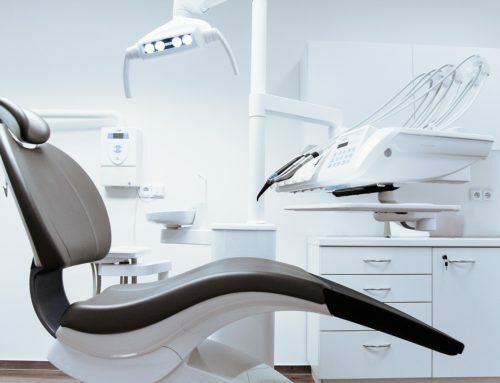 The dentist will provide either a local (“twilight”) sedation or full oral sedation before going on to remove gum tissue around the tooth being extracted. Any bone covering the tooth will be removed. The tooth will be extracted from the opening. Stitches may be added to help the gums heal. Cotton gauze is placed over the extraction point to stop any further bleeding. Why have your wisdom teeth out in the summer months? Oral surgeons recommend having this procedure done in summer, because patients typically have plenty of time for recovery with fewer responsibilities getting in the way. Because most patients are young, summer is an ideal time to have the procedure done. They are home from school or college, so the surgery won’t interfere with their studies. And during this time they tend to have fewer organized extracurricular activities. Summer works great for older adults as well. It’s a great time to have the procedure without missing too much work. And since many people are out of town, there is a better chance of scheduling your wisdom teeth extraction at the most convenient time for you. If your or your teen’s wisdom teeth are causing pain, swelling or infection, then it’s time to schedule this important oral surgery now. As a trusted and experienced oral surgeon, Dr. Farole cares for hundreds of patients in Bala Cynwyd and the greater Philadelphia area. He is glad to discuss the procedure with you and help you choose the best time for surgery. Call our office now to schedule a consultation.